LAS VEGAS, July 20, 2017 /PRNewswire/ -- Caesars Entertainment Corporation (NASDAQ: CZR) will host a conference call at 2:00 p.m. Pacific Time, Thursday, August 3, 2017, to discuss its second quarter results, certain forward-looking information and other matters related to Caesars Entertainment Corporation, including certain financial and other information regarding Caesars' deconsolidated subsidiary Caesars Entertainment Operating Company, Inc. The call will be accessible in the Investor Relations section of www.caesars.com. Participants should dial (877) 637-3676, or (832) 412-1752 for international callers, and enter Conference ID 53352519 approximately 10 minutes before the call start time. A recording of the live call will be available on the company's web site for 90 days after the event. Caesars Entertainment Corporation (CEC) is the world's most diversified casino-entertainment provider and the most geographically diverse U.S. casino-entertainment company. 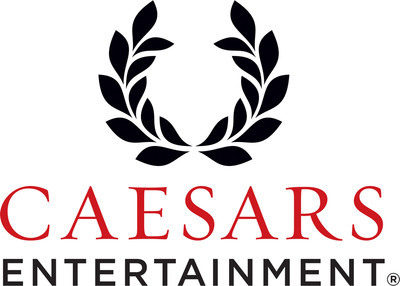 CEC is mainly comprised of the following three entities: the majority owned operating subsidiary Caesars Entertainment Operating Company (which was deconsolidated effective January 15, 2015 due to its bankruptcy filing), wholly owned Caesars Entertainment Resort Properties and Caesars Growth Properties, in which we hold a variable economic interest. Since its beginning in Reno, Nevada, 79 years ago, CEC has grown through development of new resorts, expansions and acquisitions and its portfolio of subsidiaries now operate 47 casinos in 13 U.S. states and five countries. The Company's resorts operate primarily under the Caesars®, Harrah's® and Horseshoe® brand names. CEC's portfolio also includes the London Clubs International family of casinos. CEC is focused on building loyalty and value with its guests through a unique combination of great service, excellent products, unsurpassed distribution, operational excellence and technology leadership. The Company is committed to environmental sustainability and energy conservation and recognizes the importance of being a responsible steward of the environment. For more information, please visit www.caesars.com.